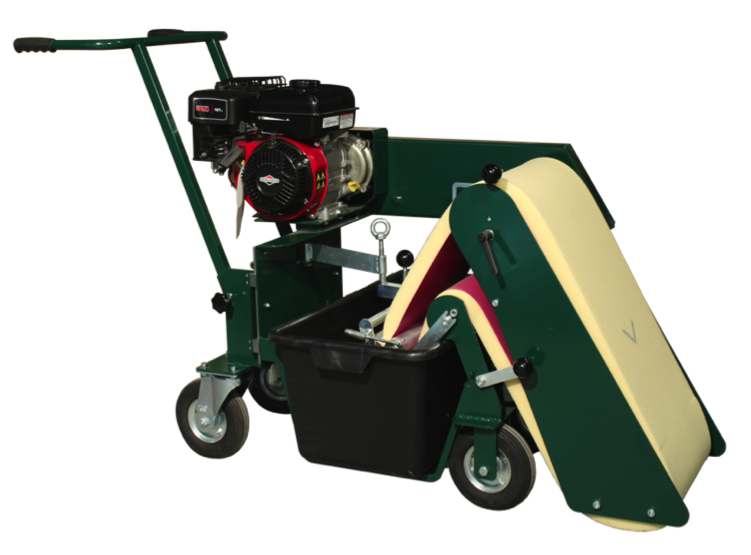 This pavement and slab cleaning device with gasoline engine or electric engine offers you a smooth cement residue-free cleaning. It cleans the stone slab, but does not wash out the joints. 10 times quicker and cleaner than with your hand! No separation of joint material! Distribute the sealant over the whole surface, fill in, pull off any excess material and next, wash off with the Pergo 880. 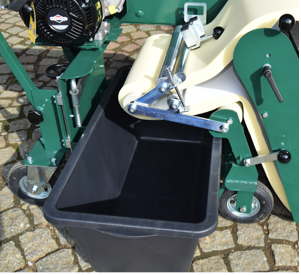 The Pergo 880 consists of an engine-driven sponge belt which is pulled through a water container. 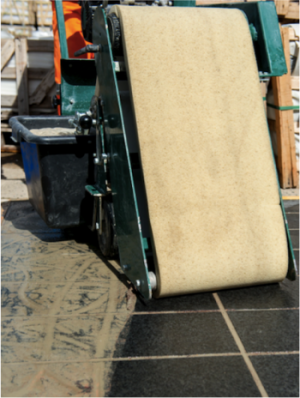 Dirt and excessive water is squeezed out by the rollers, so that a fresh sponge band is permanently achieved for the absorption of dirt. At the return, the excess joint material is washed off without the contacting of any wheel or other machine parts in the cleaned surfaces. New sponge belt technology with a new foam type for the absorption of sand grains of max. 4mm. The sponge belt is fed on a conveyor belt avoiding its expansion and side wards running, so that a long life cycle is achieved. 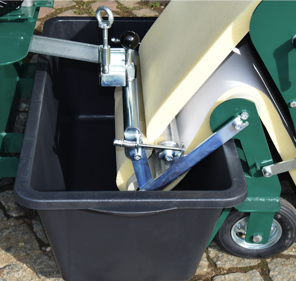 The squeezing unit is flipped up allowing the simple and easy exchange of the water container. 65 litres water container provides a very large time frame between the exchange of water. 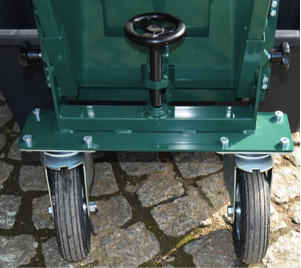 The large air wheels provide a balanced sponge surface pressure with an easy moveable machine. 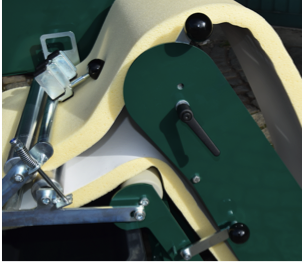 Height and sponge surface pressure is step less adjusted with the hand wheel.